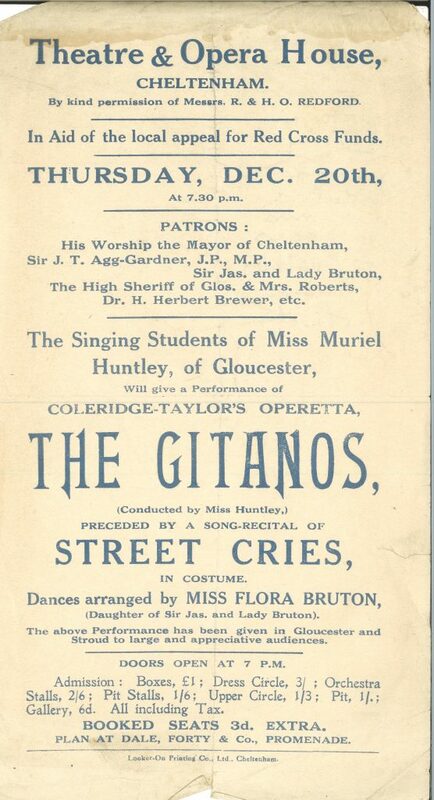 Queen Street was possibly Cheltenham’s most unfortunate street during the First World War. The community lost a significant number of men varying in age from just 17 to 49. A new roll of honour for Queen Street has been compiled by local researchers Steve Lewis and David Drinkwater. 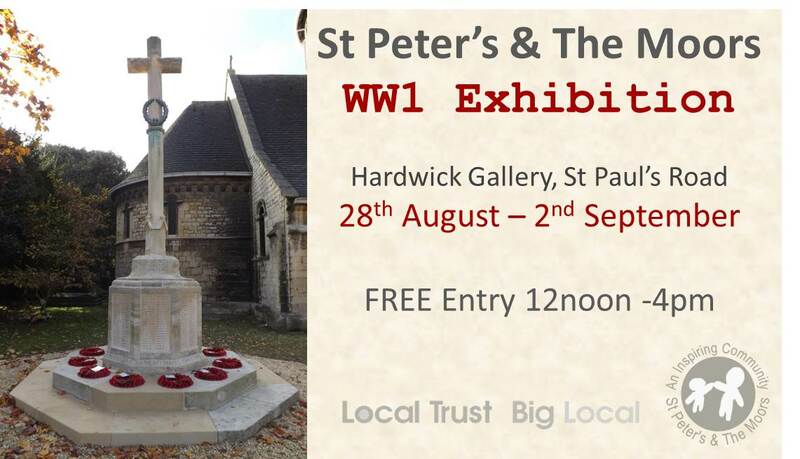 To learn more about the impact WW1 had on the community of St Peter’s & The Moors visit our new exhibition (created by SPTM Big Local) which opens at the Hardwick Gallery, St Paul’s Road on 28th August. 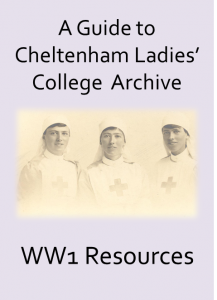 Cheltenham Ladies’s College have been digitising many of their WW1 resources which we will be adding to this website. Click on the image to read more about their collection. 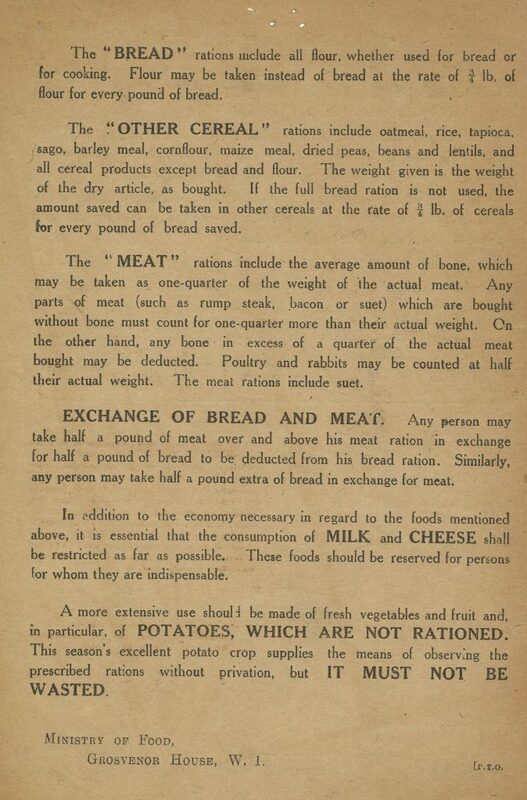 You can already find many of the documents referred to in the attached guide by visiting our WW1 Library page or by scrolling through the photo gallery on the Learning page. With thanks to Cheltenham Ladies’ College Archivist Rachel Roberts. 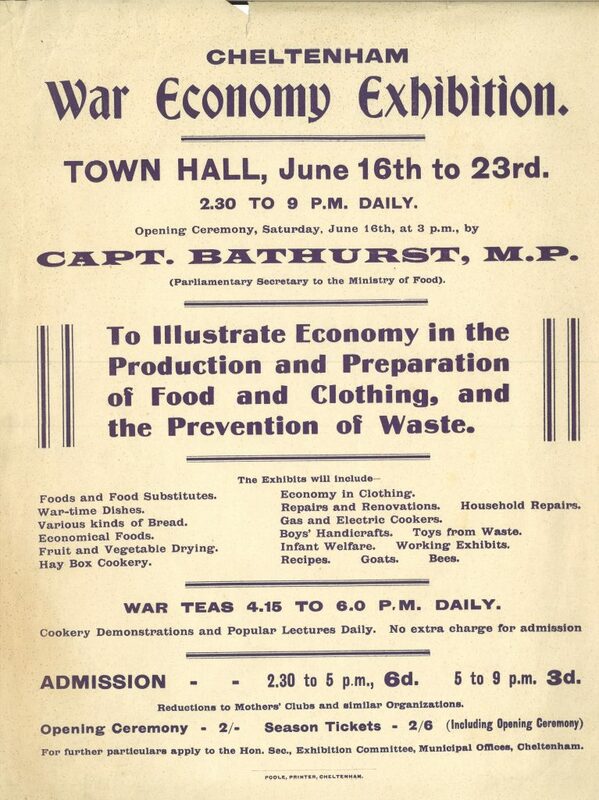 In August 1916 a ‘Battle of Flowers‘ was held to raise money for British Prisoners of War. 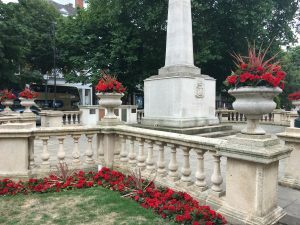 August 2018 – The planters and borders around the War Memorial have been replanted with a striking red colour scheme. 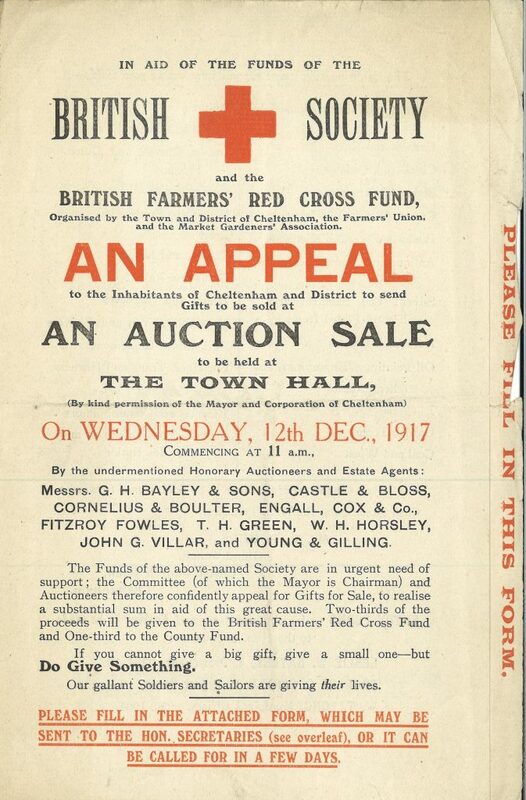 You can also see an installation featuring letter press posters created by the Holst Birthplace Museum bearing the names of 3 of the 25 Cheltonians who died in Salonika during WW1. Other posters can be seen at venues around the town. 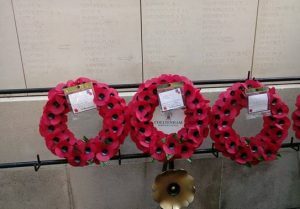 A wreath was laid on behalf of Cheltenham Borough Council at the Menin Gate, in Leper, Belgium, by Adders Tongue Explorer Scout Unit, based in Up Hatherley. 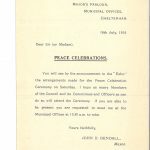 The wreath was funded and presented to them by the mayor. Photo provided by Tim Alibone. Would you like to volunteer at our exciting WW1 Re-enactment event on Saturday September 1st or Sunday September 2nd? 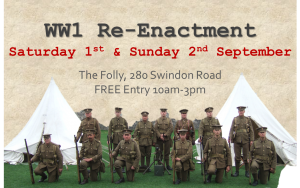 The Great War Society will be setting up a recreation WW1 hospital and training camp at the Folly, 280 Swindon Road and we’re looking for volunteers to help out with this family friendly event. Please contact kelly.patterson@cheltenham.gov.uk if you’d like to be involved. 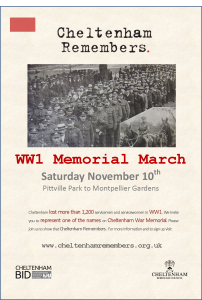 On Saturday November 10th Cheltenham Rememers will be holding a WW1 Memorial March through the town. 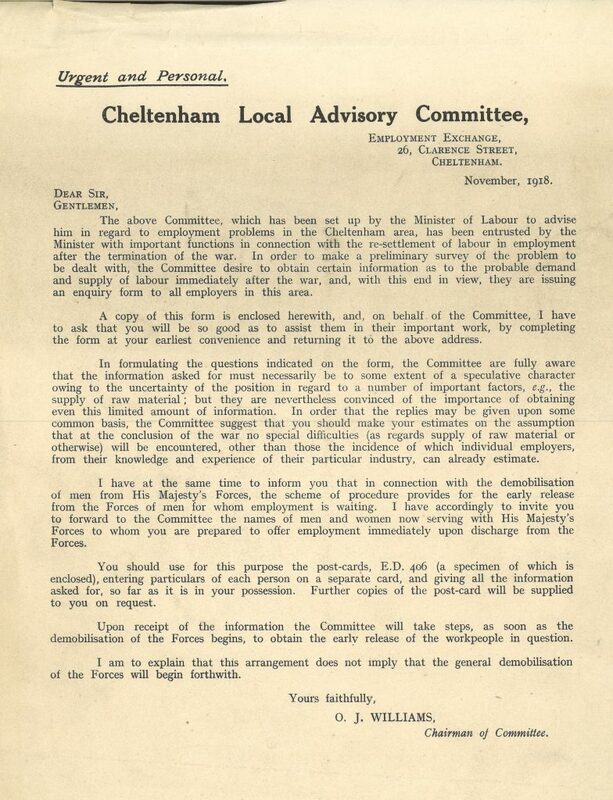 We are looking for 1,290 volunteers to each represent a name on the Cheltenham War Memorial. Everyone taking part will be given a placard with the name (and photo if available) of a single serviceman or servicewomen who lost their life in the First World War. 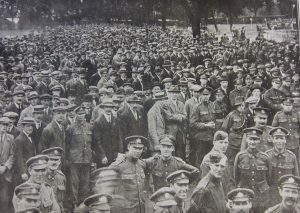 The group will march from Pittville Park to Montpellier Gardens – following in the footsteps of a Peace March held in 1919 for 4,000 returning servicemen. Today, Cheltenham Civic Society has received a National Lottery grant of £9800 for a First World War memorials project in Cheltenham. 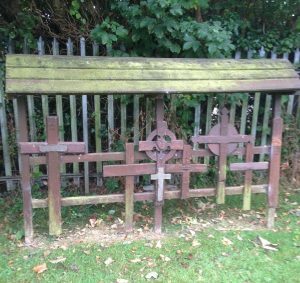 Awarded through the Heritage Lottery Fund’s First World War then and now programme, the project will focus on conserving 23 wooden battlefield crosses currently located in Bouncers Lane Cemetery. 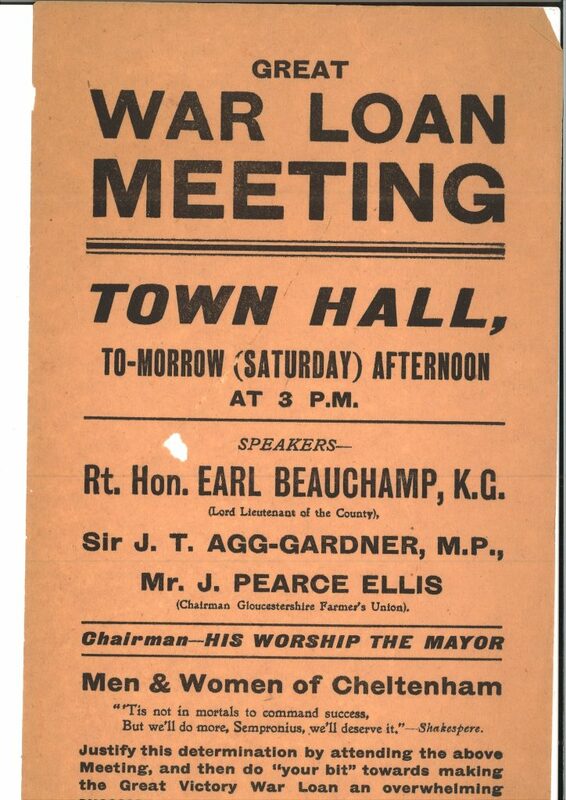 A fascinating glimpse into life in Cheltenham during the First World War. 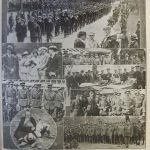 The gallery below shows a small selection of the material relating to WW1 held at Cheltenham Local & Family History Library (Chester Walk, Cheltenham GL50 3JT). 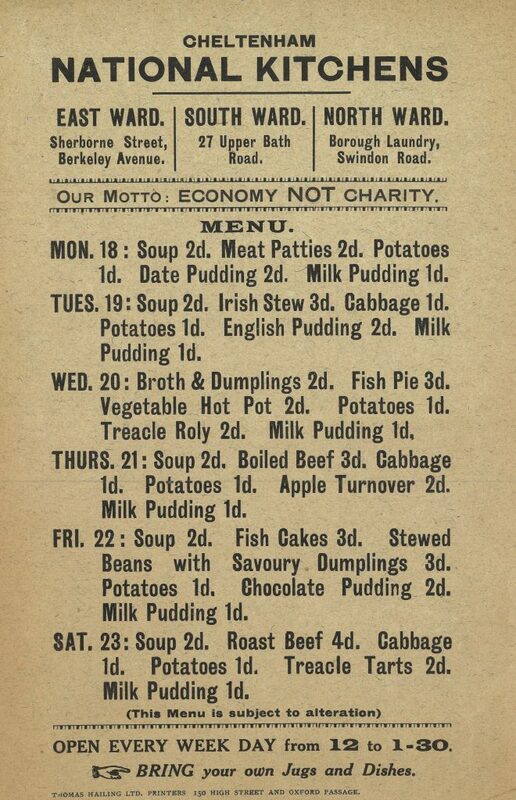 You can also view several wartime programmes and leaflets from their collection by visiting our new WW1 Library page, which we will be adding to over the coming months. 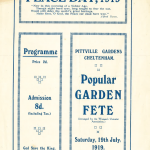 Several peace celebration took place in Cheltenham over the summer of 1919. 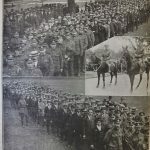 Commencing with a Peace Fete held in Pittville Park during July and culminating in a tribute to the ‘fighting men of Cheltenham’ in August, where more than 4,000 returned servicemen marched between Montpellier Park and Pittville Gardens. 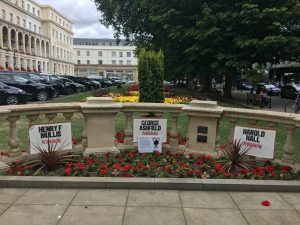 Later this year on November 10th, we hope to follow in their footsteps and hold a community march through Cheltenham to commemorate the 1,290 servicemen and women who are listed on Cheltenham’s War Memorial. 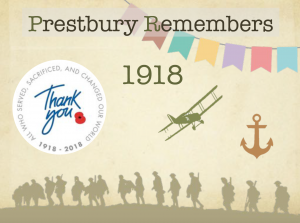 Click here to view the slideshow exhibited at this year’s Prestbury Village WW1 Fete. 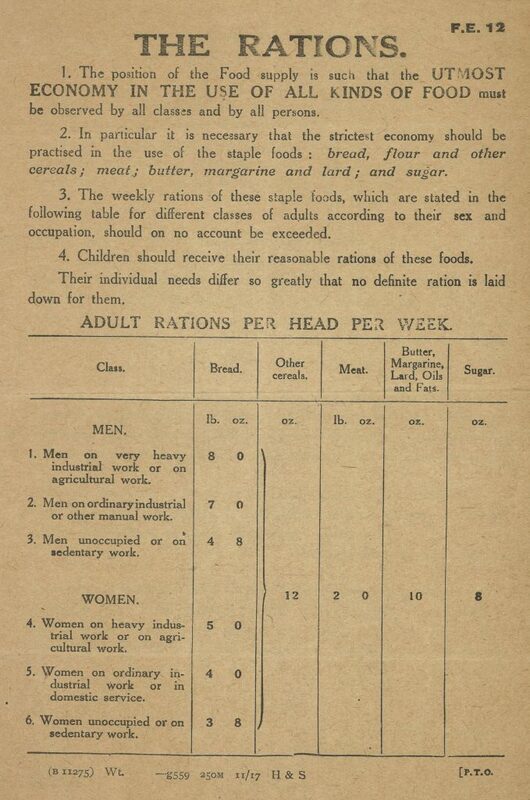 Learn more about how the village was affected by the war both on the ‘front lines’ and the home front. (Unfortunately we don’t have permission to add the soundtrack and animations to the internet, but there will be another opportunity to view the film at the Gloucestershire & Racing Remembers event in November 2018). Research and presentation by Rebecca Sillence.